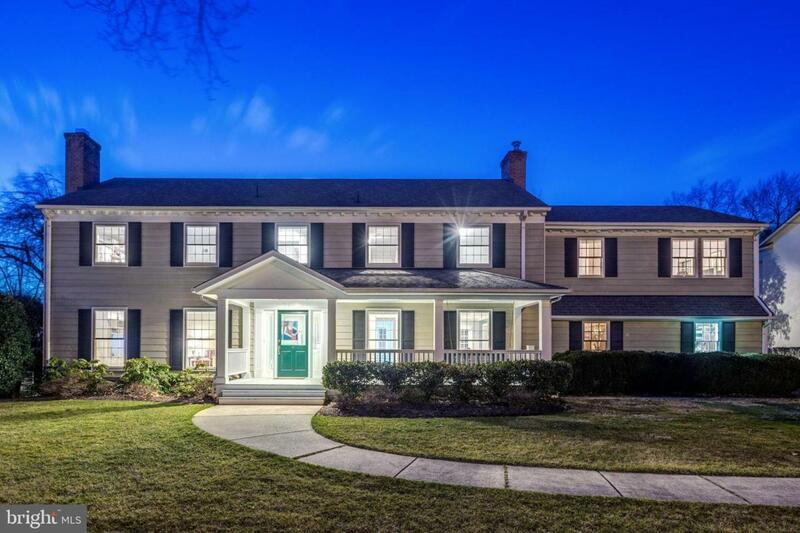 Picture perfect light-filled, classic colonial on quiet street in desirable Luxmanor neighborhood. Meticulously maintained and updated throughout. The spacious kitchen features white cabinetry and granite countertops, and leads to a main level family room with wood burning fireplace. This house has amazing flow - from the formal living room into a bright dining room, through the french doors leading to a screened-in porch perfect for three season entertaining. Upstairs you will find five spacious bedrooms including both a master suite and private au pair suite. The updated master suite includes a custom bathroom renovation with enormous shower, restoration hardware vanity and fixtures, designer tile, and a huge, bright and open walk-in closet. The finished basement has ample space for entertaining, as do the large, flat front and back yards. The home also boasts 3 full and 2 half bathrooms and a one car garage. Centrally located near Pike and Rose and Whole Foods, with quick access to 270 and 49.